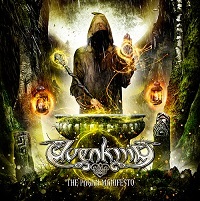 Masters of folk-tinged power metal, Italy’s Elvenking return for their eighth studio album, The Pagan Manifesto at a point in time where pagan metal and power metal still command healthy audiences based on touring/festival attendance. Employing a full-time violinist in Leithien allows the sextet a chance to pulsate as the cultural elements swirl about the aural landscape, often intertwining through the electric harmonies to create thicker musical melodies. 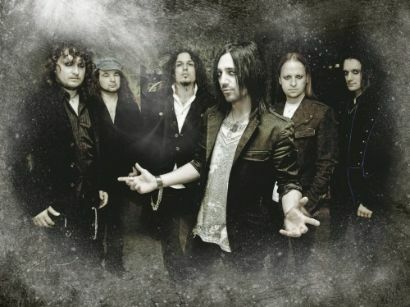 After an instrumental “The Manifesto” intro, a 12:55 “King of the Elves” takes over, a theatrical, dramatic arrangement that features a number of choral passages, Orden Ogan-meets-Blind Guardian-oriented power swings, killer lead breaks and flourishes as vocalist Damna delivers the story in a classic hard rock meets bard framework. Bravo for this risk-taking placement so early on – as it is clearly one of Elveking’s best front-to-back songs in their career. 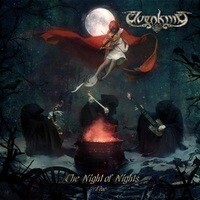 The follow-up is a double bass-led anthem “Elvenlegions,” the multi-part vocals sure to be sung loud and proud by live audiences in command and respond fashion and the mid-section featuring nifty cymbal/ snare hits from drummer Symohn. 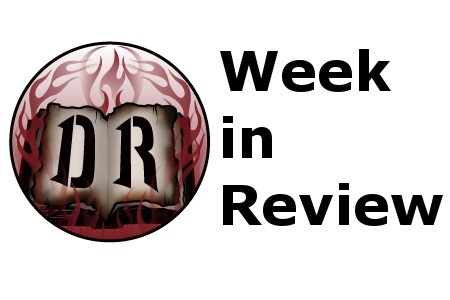 Those who love the classic Skyclad heydays of the early to mid-1990’s should love “The Druid Ritual of Oak” and “Pagan Revolution,” the latter certain to get the foot stomping, hand clapping, and jig going and throwing down a few spirited Maiden-ish electric lead parts to boot. And closer “Witches Gather” should be pleasing for those who love natural acoustic guitars and piano to provide a natural ebb and flow in electric tandem over an 8:42framework – along with the occasional death/ black metal growls, screams and spoken word passages for texture and spice. The Pagan Manifesto clocks in just over an hour, and as such could have been a bit stronger if trimmed down a couple of songs (I could do without the darker modern “The Solitaire” and predictable “Black Roses For the Wicked One,” something best heard on a Masterplan album). 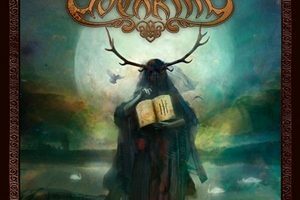 Overall, Elvenking deliver exciting dynamics between folk metal and power metal – never stepping onto bombast overload, and that’s what makes this release very entertaining and welcoming.